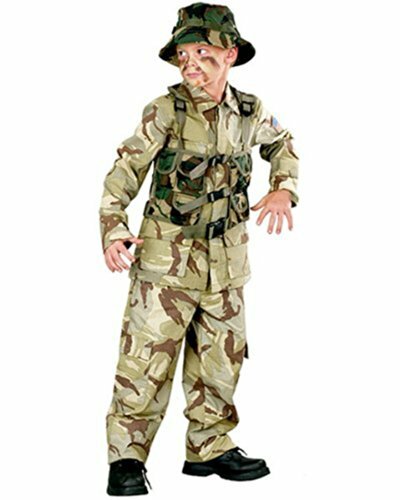 This kids Delta Force costume includes camouflage shirt, pants, vest and Boonie hat. The child Authentic Delta Force comes in sizes Large, Medium, Small. Please note: This item's color may vary due to inherent manufacturing variations or your computer monitor's color settings. The item you receive will be identical or substantially similar to the item pictured in this listing. 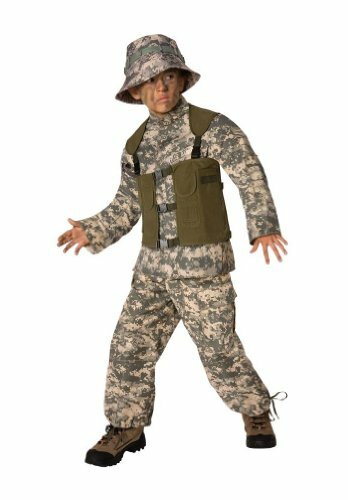 This Delta Force soldier costume's camouflage makes it possible to accomplish top secret threat missions with flying colors! 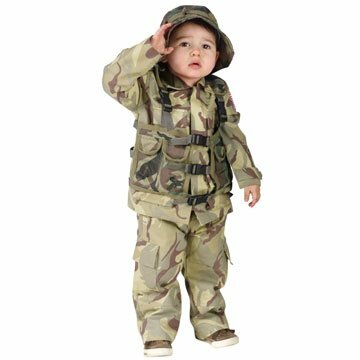 Costume includes authentic looking camouflage shirt and pants with cargo pockets, vest and boonie hat. Includes: Shirt, pants, vest, hat. Not included: Shoes. 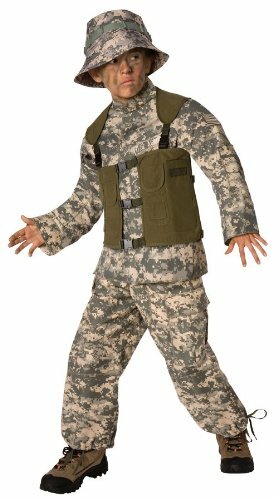 Camo shirt, pants, and hat, with flak jacket. 100% polyester. Child medium sizes 8-10. 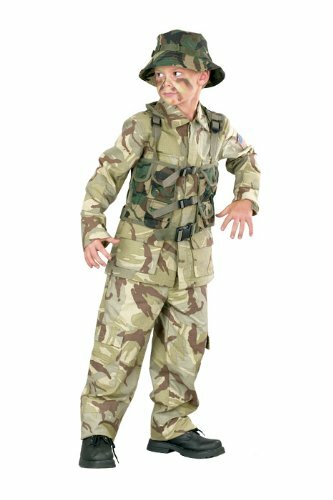 Set includes camouflage shirt and pants with cargo pockets, vest and boonie hat. Our Authentic Delta Force comes in toddler sizes Toddler Large, Toddler Small. Please note: This item's color may vary due to inherent manufacturing variations or your computer monitor's color settings. The item you receive will be identical or substantially similar to the item pictured in this listing. Camo shirt, pants, vest and Boonie hat. Ready for action! Toddler 3T-4T. Prestyn at Grandmas in his partial Delta Force Costume.